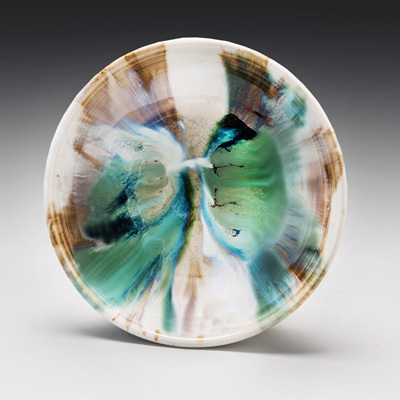 Eddie makes functional, wheel thrown ceramics using white porcelain that is oxidation fired at cone 10. 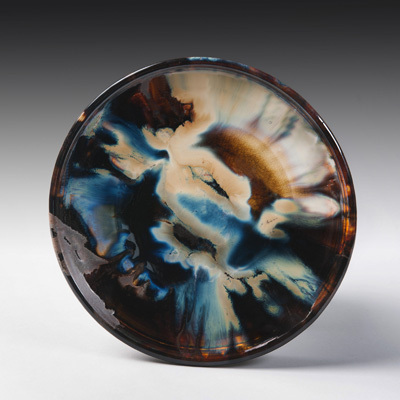 He is well known for his beautiful metallic glazes. 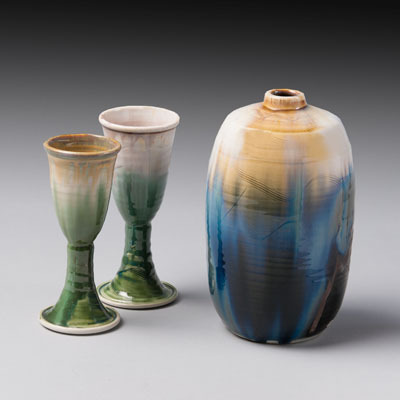 “I create personal objects that can be incorporated into the rituals and ceremonies of human life,” says Smith. 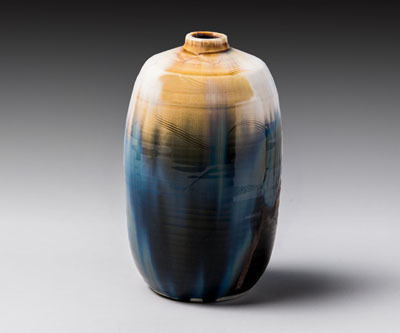 He holds a master of fine art degree from East Carolina University. 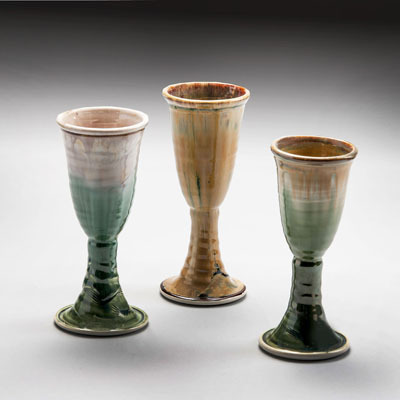 The ringing chalices are one of the most popular wedding gifts sold in the gallery. His work is oven and dishwasher safe.